After many years of questioning what bird species use Fidalgo Bay Aquatic Reserve, the members of the Fidalgo Bay Citizen Stewardship Committee decided it was time to put this question to action. This question could not be answered previously because bird species have never been consistently surveyed within the aquatic reserve. There have been a few studies quantifying marine bird species abundance in the Salish Sea, the most comprehensive being the Marine Ecosystems Analysis Puget Sound Project conducted in 1978/1979 . The most recent survey of the bay to our knowledge was conducted by ornithologist John Bower of Western Washington University, “Changes in Marine Bird Abundance in the Salish Sea: 1975 to 2007”. Using these two reports as our guide, the committee got to work organizing surveys to quantify the diversity, distribution, and abundance of marine bird species within Fidalgo Bay Aquatic Reserve. A key factor in the success of planning these surveys was the guidance we received from the Cherry Point Aquatic Reserve Citizen Stewardship Committee, who have been completing bird surveys up north for six years now in close partnership with the North Cascades Audubon Society. Lucky for us, the Skagit Audubon Society also has an incredible group of birders that were eager to help this project take off. We also had the privilege of receiving instruction with volunteer training and protocol development by Washington Fish and Wildlife seabird biologist, Caanan Cowles (pictured to the left). Caanan also happened to work for John Bower back in the early 2000s when he last conducted bird surveys in Fidalgo Bay, so he helped us determine the four site locations for our survey as well. The surveys run from September to May for the overwintering season, and this year’s survey was our pilot year to work out the details in the protocol as well as organize a solid group of citizen science volunteers. We held a training in February at the Fidalgo Bay RV Park that had 19 participants, and around 6 volunteers attend the surveys each month. Birds are often used as an “indicator species” to detect the overall health of the ecosystem. Here in the Salish Sea, marine birds are predators, often dependent upon forage fish as their main food source. Fidalgo Bay Aquatic Reserve was created because it is a hotspot for forage fish spawning due to the expansive eelgrass beds, another common food source for migrating birds. Surveying marine birds gives us yet another element in the Fidalgo Bay food web to follow over time in order to detect any changes within the reserve. By gathering data over a long period of time, we will be able to monitor trends in the population dynamics of the bird species that depend on Fidalgo Bay. This data will help us be prepared for detection of abnormal conditions and whether these changes are due to natural variation or anthropogenic causes such as an oil spill. Volunteer positions for the bird surveys include a spotter, counter, and a scribe. Although we do need an experienced birder for the counter position, all are welcome and encouraged to join our surveys and learn more about the birds of Fidalgo Bay Aquatic Reserve! 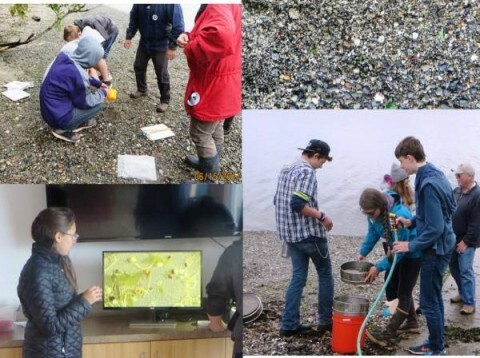 It all started with a simple email in late February from my good friend Vicki Stowe asking if our group, the Fidalgo Bay Aquatic Reserve Citizen Stewardship Committee (FBARCSC), would consider hosting a “STEM Sampler” workshop. Vicki is a wife, mother, and a passionate champion for STEM (Science, Technology, Engineering, and Math) education in our local schools. Besides leading efforts to raise thousands of dollars for STEM programs, Vicki volunteers her time to organize and manage STEM activities for our kids. One of those programs is called “STEM Sampler”. The goal of the program is to engage each Middle School student in a hands-on, workshop oriented activity that exposes them to STEM subjects that they would otherwise not have time for in their regular school schedule. The hope is to stimulate some students to consider taking STEM courses that could lead to a rewarding and fulfilling career. In late March, Vicki, Pete Haase (FBARCSC President), and I met for coffee to discuss a possible workshop. We decided that engaging students in one of our citizen science-based forage fish surveys (surf smelt eggs) would be a perfect fit. It would demonstrating how STEM can lead to new knowledge about a very important species of our marine ecosystems. One of the primary missions of the FBARCSC is to engage the community and provide educational programs about the Fidalgo Bay Aquatic Reserve (FBAR). We had no idea how we were going to do it, but agreed to host a workshop in mid-June. What were we thinking! These were Middle Schoolers! Vicki is a very persuasive woman. Once we realized what we had done, Pete and I solicited the assistance of Erica Bleke, Aquatic Reserves Program, Washington Department of Natural Resources, to help us plan and organize how we would actually pull off the workshop. Erica had been a teacher so she had some experience working with kids, especially in a field environment. Thank goodness for that! Over the next several weeks, Pete, Erica, and I met a few times to work out a plan knowing full well that things would probably not go as planned. They didn’t! This year’s STEM Sampler , the third annual, had 23 workshops for students to choose from over the two day event. 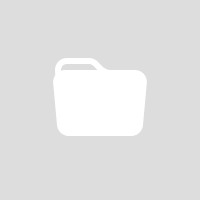 Each “workshop location” conducted four (4) workshops, two workshops each day for two days, each lasting approximately two hours, one in the morning and one in the early afternoon. For “offsite” workshops like ours, students were bused to/from the Middle School. I must admit, it was a terrifying sight when that first busload of students arrived at the Fidalgo Bay Resort and we all realized it was “showtime”! We survived. Despite some horrendous mid-June weather, our team of experienced volunteers did a fabulous job of explaining the what, how, and why of a forage fish surveys. Fortunately, the target, surf smelt eggs, were fairly abundant during our surveys so most students stayed engaged (not all!). The highlight for many students was putting their respective team’s sample of eggs under a microscope which was displayed on a large TV screen. The “oohs and aahs” from the students when they realized that some of the eggs actually had little embryonic fish inside of them with tiny eyeballs was telling! For many, it was the first time they had ever seen something like that. Discovering nature can be an exciting thing! Although it was a lot of work to plan and organize the workshop, the expectation is that FBARCSC will likely be persuaded to participate again next year. As I said, Vicki is very persuasive. Besides, we can apply lessons learned and make it even better next year! The kids we had on the beach those two days back in June will soon be entering into adulthood. Having an opportunity to work with them and possibly influence a career choice is extremely rewarding. Even if none of them ever pursues a STEM career, our hope is that they all came away with a greater appreciation of our natural world. “What was most impressive to me about the STEM Sampler was the level of involvement and community collaboration that went on in order to provide this unique opportunity. From my perspective, it is vital to get community members, especially local students, into Fidalgo Bay Aquatic Reserve to learn about what the Reserve is and why its protection is critical to the overall health of the Salish Sea." There are only eight Aquatic Reserves in the entire state of Washington and it’s a pretty fantastic thing for Anacortes students to have one in their backyard. To see students realize that their local beaches are not just a great place to walk, but are actually teeming with life that supports the greater Salish Sea ecosystem was a great thing to be a part of. “As I had not done field work in a couple of years, assisting with the STEM workshop was very enlightening. It was an opportunity for me to learn, as well as pass along any knowledge that I might have to potential budding ecologists. The day was unfortunately, a bit blustery and cold, but conditions were ripe for learning. Each team was shown how to create a transect, collect samples, clean those samples, and then process the samples under a microscope. The most fascinating part was ‘seeing’ what had been collected, using the microscope. I think the science of what we were doing did not become real until the students were given the opportunity to view what was collected in this fashion. I believe we were all fascinated when we detected the various species by seeing ‘eyes’ in egg sacs. Various oohs and ahhs from the audience made this apparent. Though that could have been coming from the adults!